Real Madrid lost four matches in a row at Santiago Bernabéu for the first time since 2004 and along with this disaster, their season literally ended at the beginning of March. In those four matches, Los Blancos only scored two goals and conceded a staggering amount of ten. After the humiliation in the hands of Ajax in the Champions League, Florentino Perez blamed the players for their lack of dedication and excessive time off and even went further to accuse their action as “Disgraceful”. 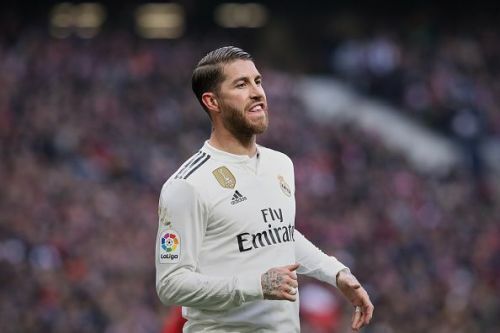 Ramos, who missed the second leg after a retrospective suspension due to a deliberate yellow card in the first leg of the two-legged tie, accused Pérez and his board of lack of planning and execution of pre-planned ideas. During the heated bust-up, Pérez threatened to sack the defender and Ramos replied: “Pay me up and I’ll go”. Though the chances of sacking Ramos are less likely because the Real Madrid captain has the backing of the fans. However, in case Pérez decides to sack the 32-year-old Spanish defender it will cost him near €25 million to buy him out of his current contract, which expires in 2021 and not in 2020 as is currently believed, according to the Spanish outlet. The Real Madrid captain signed a five-year contract back in the summer of 2015 after a tense negotiation between Pérez and him, and just recently the club added a one-year extension which means his contract will run-out in the summer of 2021. In such a catastrophe, it is very much unlikely that Pérez will sack the club captain and even if he wants to, it will cause Real Madrid financially. We will need to wait and see how things unravel from; however, Real Madrid will continue La Liga action when they travel to Real Valladolid on Sunday.